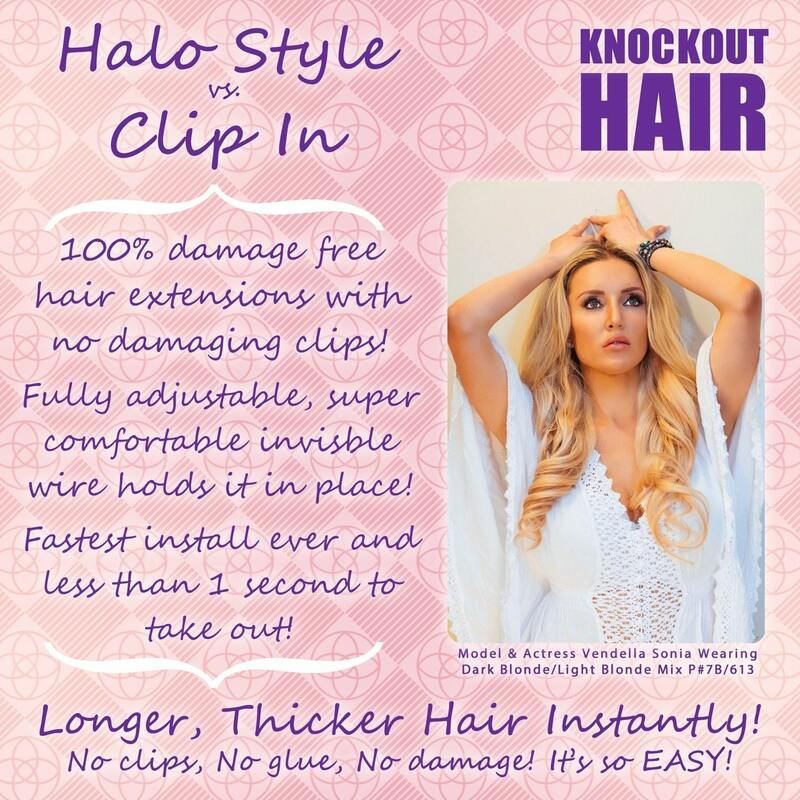 Made from genuine, 100% human hair, extensions can transform your look in seconds to give you all the Hollywood glamour without having to wait for your own hair to grow! Extensions have moved on from the fake-looking weaves of yesteryear and now included both straight and curly extensions to blend in perfectly with your own hair type. 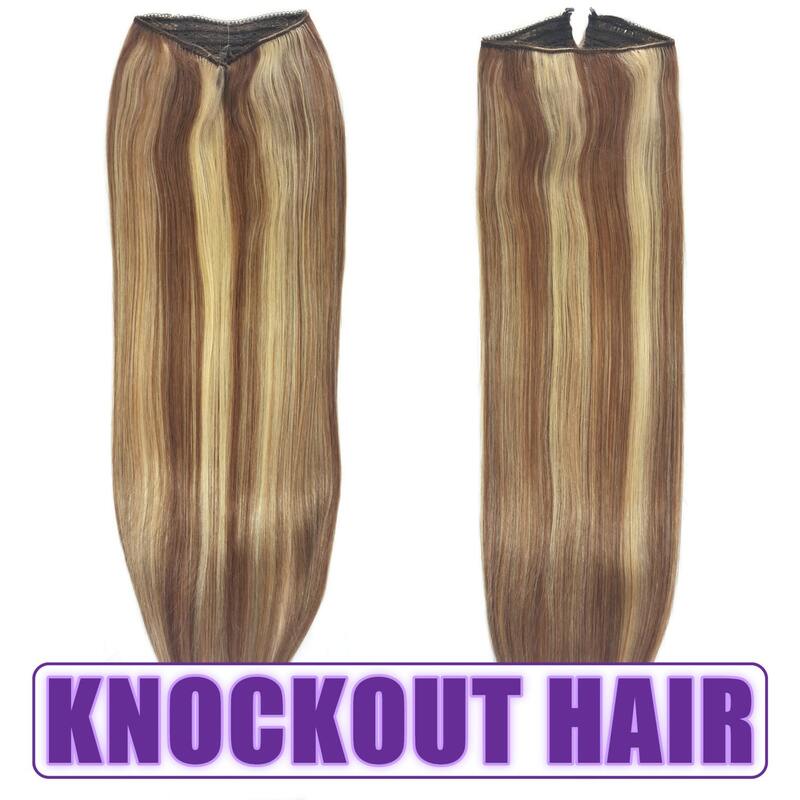 Human hair extensions are ideal if you suffer from thinning hair or patches where your own, natural hair is weak. 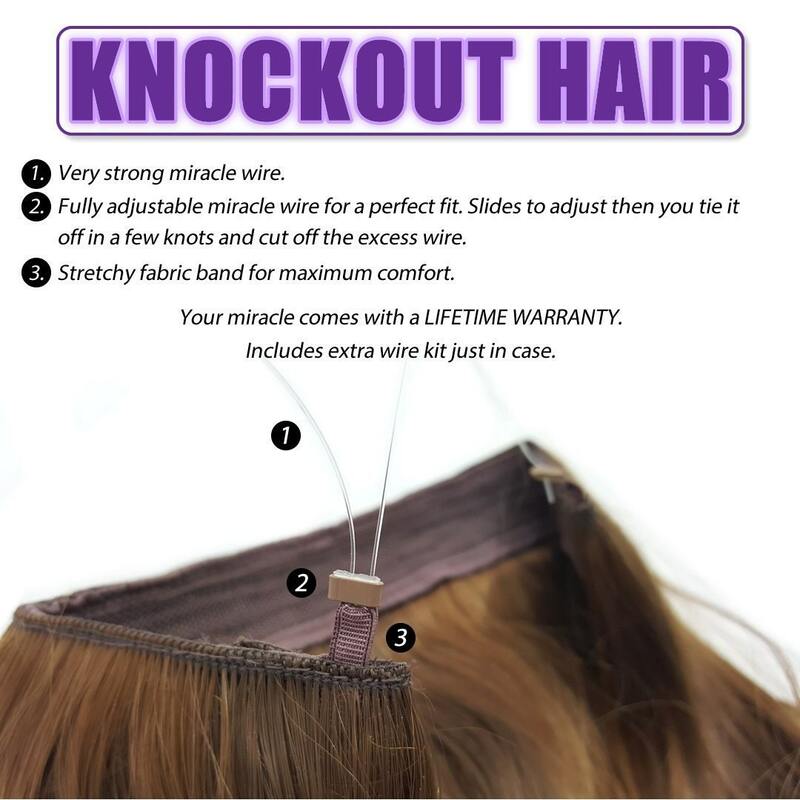 With a human hair closure piece you can feel confident that your style looks natural and full. 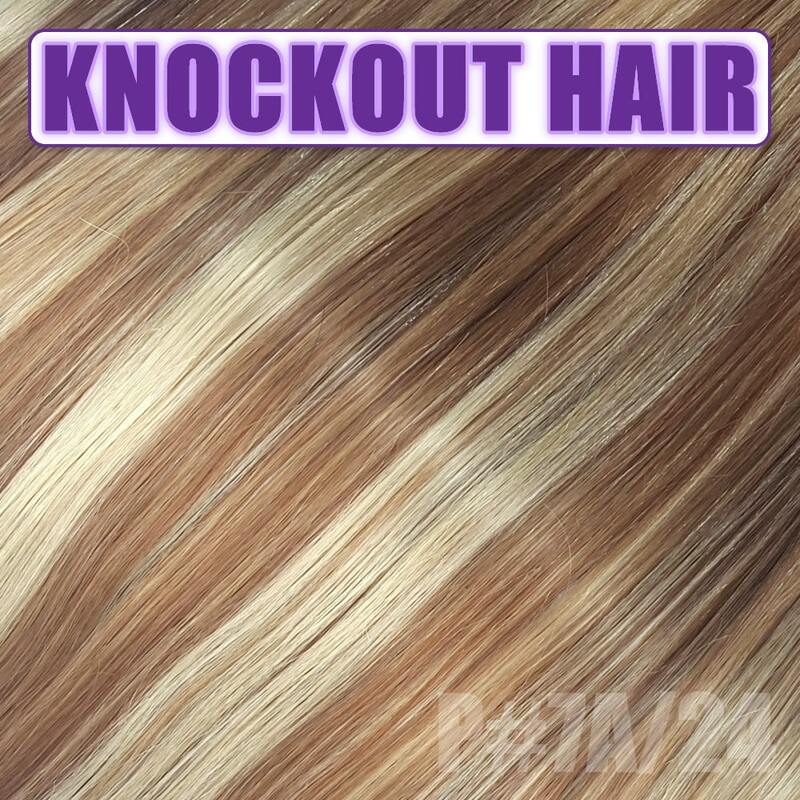 With a complete range of colors to match almost every shade, Knockout Hair carries a full supply of genuine human hair extensions for any occasion. 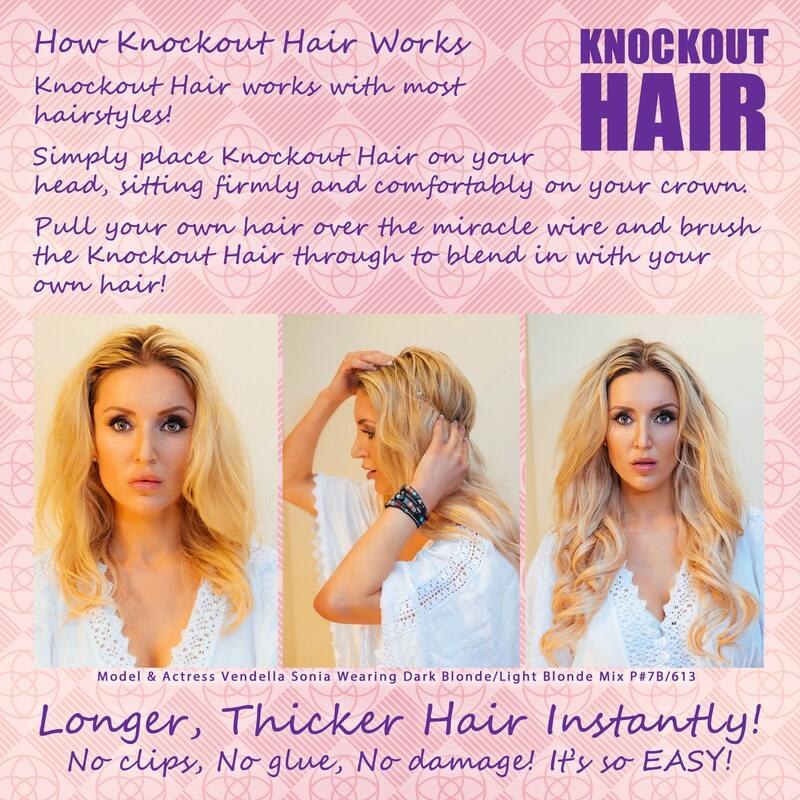 For further details on extensions and all our other products, browse our website or contact us direct and talk to one of our friendly, hair care experts who will be able to advise you on the best extensions for your look.